Baptism is a rite of initiation into the Catholic Church, a welcoming of your child into the Christian family. Through Baptism, we receive the grace of God and become sharers in the Church’s mission. No one has more influence on a child's growing sense of God and the Catholic faith community than the child's parents. At Baptism, the faith is proclaimed for infants by their parents and godparents who represent the Church. Baptism unites us with Christ because it incorporates us into the Church. St. Paul describes it as being "clothed" with Christ. The Church mediates the presence of the risen Jesus to us. It is through the Church that we are introduced to Jesus and grow in our ability to recognize his presence among us in the Scripture, in the Breaking of Bread, and the Assembly. Parents generally have their children baptized in the parish where they themselves are registered, participating members. In the case of separation or divorce, a notorized letter is required from the other parent, consenting to the baptism. Baptisms are not celebrated during Lent, Easter, 1st Holy Communion Day, Confirmation Day, Christmas, or Divine Mercy Sunday. A Godparent must be a Confirmed, practicing Catholic over the age of sixteen (If there are two godparents - only one of them needs to meet this requirement). Only one godparent is required but if two are chosen only one from each gender is allowed. Members of other Christian churches may serve as Christian witnesses as long as there is also one eligible godparent. Godparents who are not members of Holy Name of Jesus are asked to present a Sponsor Certificate from their own parish at the time the baptism is scheduled. Parents must attend a baptism preparation class (see below) before the baptism of their child. If you have attended a baptism class within 3 years, you do not have to attend again. Several months before the baby is born, parents should register online for the baptism class and complete the online registration form (see both forms below). Baptisms are celebrated after the 12:15 Noon Mass on the second and last Sundays of each month. The rite of Baptism consists of pouring holy water on the head while pronouncing the invocation of the Most Holy Trinity: the Father, the Son, and the Holy Spirit. (immersion is available - but must be requested and approved by the Pastor). 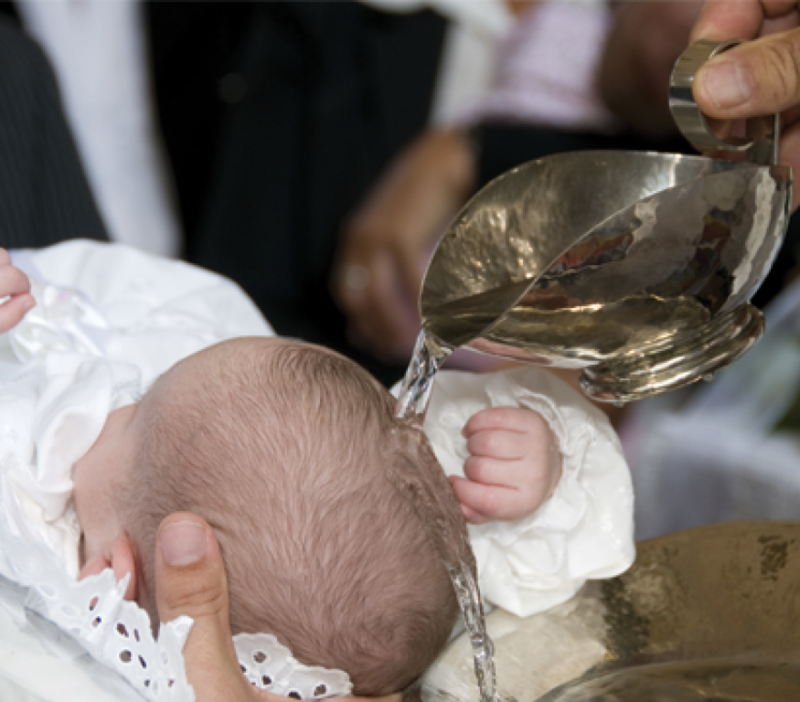 Baptisms for infants can also be celebrated within the Mass if parents are practicing members of the Church (at least a year). Must be approved by the Pastor. The Baptism of older children (7 years of age or older), teens, or adults follows the Rite of Christian Initiation of Adults (RCIA). For further information, please contact Sara Thompson, 321-773-2783, x200, baptism@hnj.org.